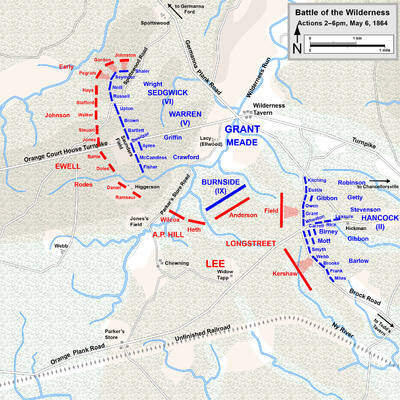 Dawn broke over the Wilderness on May 6 with two armies locked in a deadly stalemate. Lee had positioned his Confederate infantry and artillery across Grant’s line, stymieing any attempt at a Union breakthrough. The previous day’s fighting around the Orange Turnpike had been brutal and unrelenting. Engaged in this fighting were the V and VI Corps under the command of Gouverneur K. Warren and John Sedgwick. Little sleep could be had among the ranks of the Central Pennsylvanians of the 96th regiment. Skirmish fire and occasional blasts of artillery punctuated the thick, humid May evening. In the darkness, between volleys of musketry, came the cries of the wounded and the dying. “Some prayed, some cursed, some cried, and some asked to be killed and put out of their misery,” remembered the regimental historian of the 121st New York, placed in rear of the Pennsylvania soldiers.1 Sleep, for those still in the lines of blue and butternut facing each other in the inky black darkness of the forest, came on with the knowledge that this may be their last. The men of Upton’s brigade were rousted from their rest in the predawn hours of May 6 with orders to charge the enemy works shortly after daybreak.2 To the left of their position, the infamous Saunders Field lie just beyond the tree and brush line. Hundreds of unmoving forms lie in the field, although some still cried out for help around day break. “We had notice to have our breakfast and be ready to attack at daylight,” a colonel in the 121st New York wrote.3 Men along the Union line near the Orange Turnpike prepared for the day’s fight. With the fighting growing ever deadlier on the right, the focus was taken off the Union center along the Orange Turnpike where the 96th Pennsylvania was located. Intermittent skirmish fire proved annoying, but the regiment incurred little damage during May 6. Corporal Keiser instead reported that “the musketry on the right was the heaviest I heard during the war.”5 The attack presented a serious danger to the VI Corps’ position and the right flank of the entire Union army. If the VI Corps units under James Ricketts gave way, the Army of the Potomac could lose its supply line at the Rapidan River fords and be cut off. Under the threat of envelopment, Colonel Upton was ordered by John Sedgwick to send two regiments in an effort to stave off disaster on the right.6 The 121st New York and the 95th Pennsylvania marched off to the right and into some of the most desperate and confused fighting of the war. Back in the center of the Union line along the Orange Turnpike, things backed off to a relative calm. Occasional firing and gunsmoke clouded through the air, but the thunderous crashes from the fighting in the woods to the right kept up anxiety about an impending attack on the positions along the Orange Turnpike that never materialized. A march of about a mile down the turnpike landed Upton’s brigade around the vicinity of Wilderness Tavern. The major scenes of the Battle of the Wilderness were over, and the toll was ghastly. Almost 30,000 men are thought to have fallen in the tangled backwoods of the Wilderness.10 For the 96th Pennsylvania regiment, the losses were light. A few men wounded and the capture of Private Williams from Company G amounted to the casualties in the “coal-heaver” regiment. In the weeks to come, however, Company G, 96th Pennsylvania would face its most desperate fighting of the war. Many young men would be lost as the battles of the Overland Campaign shifted south and east towards Spotsylvania Court House. Friday, May 6, 1864. The Rebels kept up a brisk fire all night in our front, but none of our Regiment were hurt. Fighting has been heavy all day on right and left, while nothing but skirmish and artillery in our front. Four men of each company were detailed to cut and carry timber to build rifle pits tonight. At seven this evening the Rebels made a desperate charge on our right wing and succeeded in turning that flank. After dark we commenced digging rifle pits but at Eleven p.m. eve we were move to the rear to make up a new line on account of our right having been turned. The musketry on the right was the heaviest I heard during the war. 1. Best, Isaac O. The History of the 121st New York State Infantry. (Chicago: Lt. James H. Smith, 1921.) 121. 2. 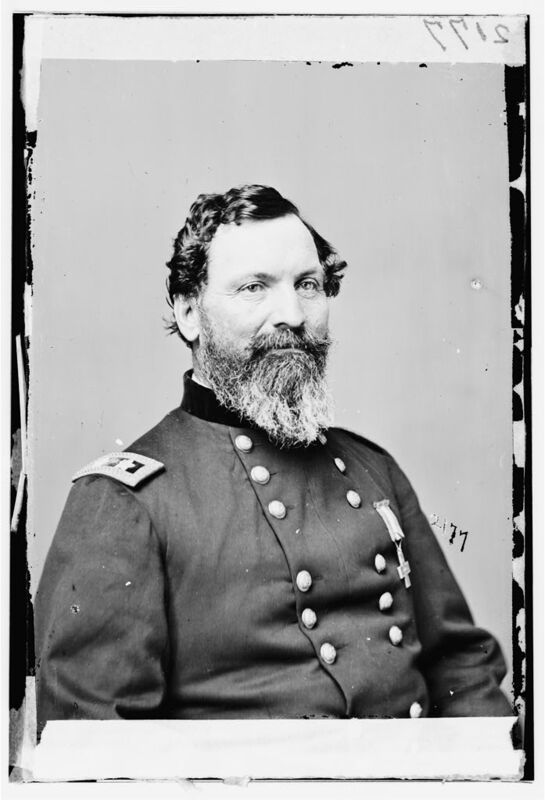 “Report of Brigadier General Emory Upton, U.S. Army, in command of the Second Brigade.” September 1, 1864, in The War of the Rebellion: A Compilation of the Official Records of the Union and Confederate Armies, Series 1, Volume 36, Part 1. (Washington, DC: Government Printing Office, 1891.) 666. 7. Haines, Alanson A. The History of the Fifteenth Regiment New Jersey Volunteers. (New York: Jenkins & Thomas, Printers, 1883.) 148. 9. Colonel Ryerson in Haines, 149. 10. “The Wilderness.” The Civil War Trust. Web. http://www.civilwar.org/battlefields/the-wilderness.html?tab=facts. Accessed 1 May 2014.